Shandong Shipping will transport 150 million tons of coal and other bulk raw materials for TÜV Rheinland during the lease term, which will further deepen the two companies' strategic cooperation that has taken place since 2013. 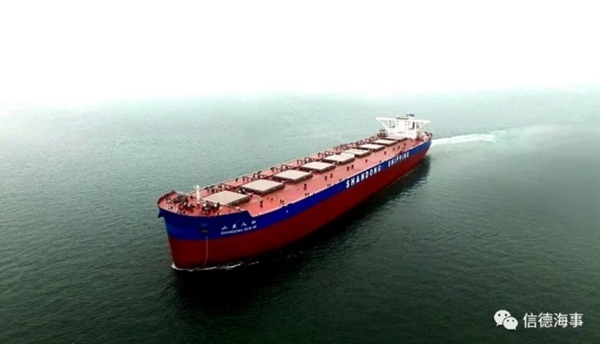 Shandong Shipping will follow an "asset-light" strategy to integrate high-quality resources with high-end customers, financial institutions and shipbuilding enterprises. 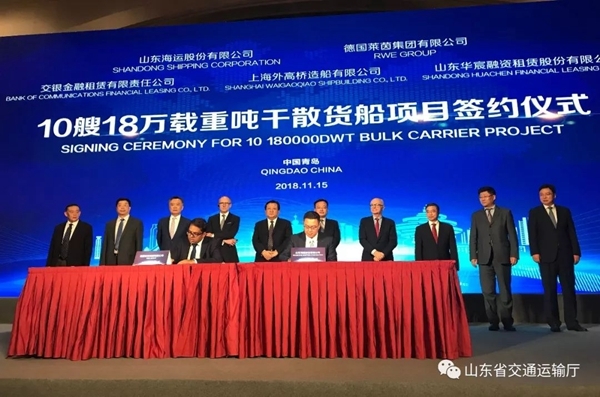 The cooperation partners include three Fortune 500 companies, covering various industrial fields such as the long-term time chartering of dry bulk vessels, shipbuilding and financial leasing. This is part of attempts by Shandong Shipping to promote its brand in the international shipping market, injecting new vitality to the rapid development of the province's marine industry. The project will increase the total shipping capacity of Shandong Shipping from 5.88 million DWT to 7.68 million DWT, up 30.62 percent, which will further enhance the influence and competitiveness of Shandong Shipping in the international shipping market, and consolidate its advantageous position in the field of dry bulk commodity transportation. 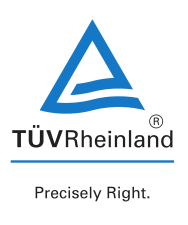 TÜV Rheinland (ranking the 214th among the world's top 500 companies in 2018) is the largest power and energy supplier in major European countries such as Germany, the Netherlands and the UK.